Live Blogging the 2010 Oscars! 5:20 P.M. Red carpet update: Jennifer Lawrence and Mila Kunis look SMOKING hot. Hailee Steinfeld’s tutu is a little unfortunate. Onto some of the other non-major categories, most of which don’t even get more than a winner pick. Best Documentary – they could be hipster and go with “Exit Through the Gift Shop,” but my money is on “Inside Job” for a much deserved win. Best Short Film (Animated) – No idea how to predict the shorts. My guess is on “Day and Night” because everyone saw it. Best Short Film (Live Action) – “God of Love” sounds like a winner. Best Short Film (Documentary) – “Poster Girl” sounds good. 5:27 P.M. Amy Adams and Michelle Williams, usually good looking, fell flat. Bummer. Here are some more major picks. I think given the overwhelming momentum for “The King’s Speech” and the story of its screenwriter, David Seidler, this is a pretty easy victory to call. “Inception” after winning the WGA probably comes in a close second. Given the overwhelming Bale love throughout the season, he should be able to overcome Rush in a sweep scenario. It also helps that Bale has no Oscar and Rush does. I’ll still be biting my nails for this, but I feel confident with this pick. Firth seems like a lock. Eisenberg could take it in an Adrien Brody/”The Pianist” scenario, but that’s a long shot at best. Another shaky category. Sure, Tom Hooper won the DGA, but that membership is made up of mainly TV directors. Of course they want to reward Hooper, one of their own. The Oscars embraced Roman Polanski, a prickly director indeed, in 2002 over DGA winner Rob Marshall, whose “Chicago” went on to win Best Picture. It doesn’t seem wise to predict a split as most Academy voters don’t think that the Best Picture directs itself. But I have a feeling that the voters took a step back and asked what the best directed movie of the year was, and they probably knew the name of the director that undertook the job. Then again, Hooper and Fincher could split votes, making the way for Aronofsky to win, much like in 2000 when Soderbergh eked out a victory over Ang Lee and Ridley Scott for “Traffic.” But I’m counting on Fincher riding to victory, making “The Social Network” the third movie to win Best Editing, Best Screenplay, and Best Director without Best Picture. 6:50 P.M. Sandra Bullock has had some MAJOR work done to her face. No other big red carpet arrivals to blow me away with the exception of Penelope Cruz. Jennifer Lawrence is still tops. This is what it all comes down to. The past vs. the present, the critics vs. the guilds, the heart vs. the head. You’ve heard it analyzed and overanalyzed if you pay any attention the race. But know this: 2010 marks a watershed decision for the Oscars. These two movies have come to represent two entirely different camps of moviemaking and moviegoers, and the critics unanimously chose “The Social Network” as their Best Picture of the year. But then the guilds fired back with their pick for Best Picture being almost unanimously “The King’s Speech.” It’s never smart to bet against the guilds, so I have to pick “The King’s Speech” since it has their support and clearly has the momentum. It is the most nominated movie tonight, which is also a help. I have a hard time calling a split, but I will. I simply can’t predict “The Social Network” to win even though I so desperately want it to prevail. That being said, how happy would it make you if “Toy Story 3” came out of nowhere and won? Talk about something that would simultaneously silence and please everyone. 7:00 P.M. Time to switch from E! to ABC. Just saw Natalie Portman … all is good. 7:03 P.M. Natalie Portman still looks perfect. Even when she’s pregnant. 7:22 P.M. AHHHH 8 MINUTES!!! I’ve been where they had the red carpet and I’ve been on that stage, by the way. It’s not a big deal. 7:37 P.M. This opening sequence is so funny I can’t even handle it. “YOU JUST GOT INCEPTION’D.” And the Morgan Freeman cameo is golden. 7:43 P.M. These meta-Oscars are too much for me to handle. I feel like they are setting up a sweep for “The King’s Speech” and trying to justify their pick by comparing it to history. 7:47 P.M. There goes the momentum for “The King’s Speech!” That art direction win for “Alice in Wonderland” was quite a shock. But HOORAY FOR THE “INCEPTION” BEST CINEMATOGRAPHY WIN! That makes me so happy! And here’s to a future win for “The Dark Knight Rises!” Ballot is 1/2 at the moment. 7:57 P.M. And the winner of Best Supporting Actress is … after much delay, sweet Kirk Douglas … Melissa Leo! Well, there could be worse. Called that one wrong! 8:00 P.M. Melissa Leo dropped the F-bomb! She’ll never live that down … awkward moment for an awkward speech with a silent crowd. And that whole moment with Kirk Douglas felt kinda staged. 8:25 P.M. Props to Anne Hathaway for whipping out the “Les Miserables.” She just won my total approval. 8:36 P.M. Side note: the trailer for “Super 8” makes me REALLY excited for 2011! Is it too early to call a Best Picture nominee for next year? I’ll be incredibly proud if I can look back next year and see that I got this right. 8:41 P.M. The THX sound brings back SO many bad memories from my childhood! Ahhh, I was so scared of that thing! 8:56 P.M. The meta-Oscars need to go for next year. 8:57 P.M. Cate Blanchett had it right when she said “that’s gross.” The fact that we can say “the Academy Award-winning film The Wolfman” is sad. 8:59 P.M. DIE I AM LOVE! But no “The King’s Speech” again!?!?! That’s a shocker. “Alice in Wonderland” has also momentarily eclipsed “The King’s Speech” in Oscar wins. 9:02 P.M. Observation only relevant for tonight: “The King’s Speech” is 1/8 so far. That means at best, it will have 5 wins. Most likely only 4. Possibly only 3. So much for Sasha Stone on Awards Daily saying that you had to predict the movie to win 6 statues. I’m really thinking “The Social Network” will win Best Picture now. 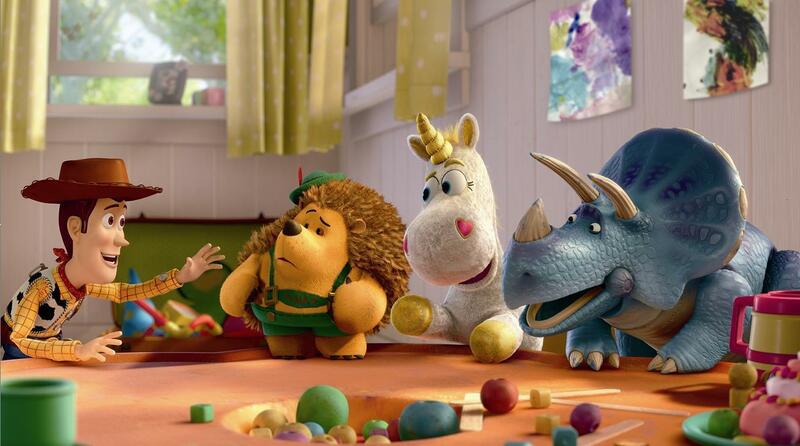 9:04 P.M. Ok, the song from “Toy Story 3” is officially the most adorable thing in the world. I’ll be upset now if it doesn’t win. 9:10 P.M. Wait, are the Oscars actually going to finish … on time? Stay tuned for this exciting development. 9:14 P.M. Aaaaaand more meta-Oscars! STOP! 9:16 P.M. “God of Love” for the win! That’s one of my three short film guesses that panned out! 9:18 P.M. “The Social Network: The Musical” is catchy. Can’t wait to see Justin Timberlake headline the original broadway cast! 9:28 P.M. I miss Billy Crystal hosting the Oscars! He is so my childhood watching the Oscars! And also, I’d like him to make a comeback in movies. 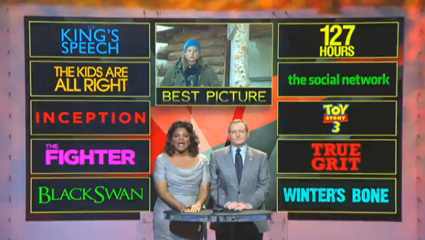 9:35 P.M. “The Social Network” wins AGAIN! That’s three! Hooray, things are looking up for team Facebook!!! 9:47 P.M. “Toy Story 3” wins! That makes two and a very big smile on my face!!! I heart Randy Newman. 10:02 P.M. Entering the last half hour … with Best Director?!? Before acting? 10:09 P.M. They can’t do this with Best Director again. It makes the pit in my stomach last for 20 minutes as opposed to 5 minutes. Not OK.
10:10 P.M. And there had better be some MASSIVE tribute to the Best Picture nominees coming up! Because otherwise they got gypped! 10:16 P.M. ^^^ THIS GIRL JUST WON AN OSCAR!!!! I’M OBSESSED WITH NATALIE PORTMAN!!!!!! HOORAY FOR MAKING ONE GOOD PICK TONIGHT! 10:19 P.M. Who cares if her speech wasn’t that good, I’m so happy!!!!! Academy Award winner Natalie Portman! 10:25 P.M. And what we’ve been predicting for five months delivers. 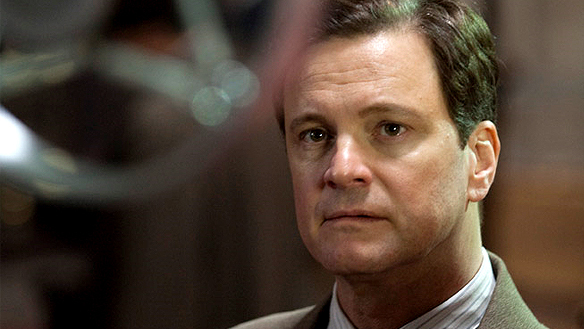 Way to go, Colin Firth! 10:28 P.M. Only one award left…AHHH!!! 11:03 P.M. Just saw some of the arrivals to the after-parties on E! while unloading the dishwasher. Not entertaining enough to keep me from doing my homework/studying … until next awards season, my friends! So what was the inception of “Inception?” According to director/screenwriter Christopher Nolan, the movie began as a heist film mainly as a way to provide entertainment and exposition for the complicated dream structure. But concerned with the cold emotional detachment to the characters in a heist film, he began to add the hero’s story to get the audience to connect with the movie. 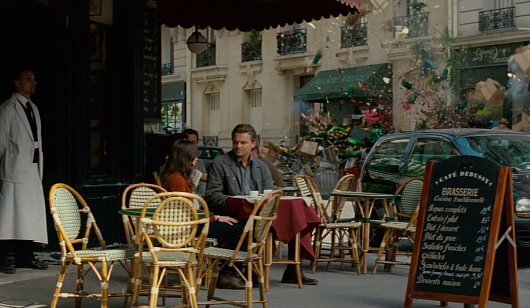 What’s real and what isn’t was a big talking point about “Inception,” but it may interest you to know what was shot on location (real) and what was shot on a soundstage or studio lot (not real). The snow fortress was a built set, as was Saito’s castle. With a few other exceptions, most scenes were shot on location in Tokyo, Paris, Mombasa, Los Angeles, and a small town in Nolan’s home country, England. How about that spectacular anti-gravity fight scene in the hotel hallway. According to Christopher Nolan, Joseph Gordon-Levitt did all his own stunts for the scene, only using a double out of necessity for one scene. The scene was done by creating a spinning set, not through CG. Throughout the second half of the movie, we saw plenty of the van falling off the bridge. But what you might not know about this scene is that it took months to film and entire days were dedicated to the shot. But it gets better: the van was shot out of an air cannon and when the van hit the water, the actors actually had to stay underwater for four to five minutes holding their breath and taking air from a tank. How’s that for dedication? The ensemble cast turned out perfectly, but it wasn’t always what it was. Before shooting, Evan Rachel Wood was slated to play Ariadne but dropped out and the role went to Ellen Page. Another big casting shift was the exit of James Franco, who was originally cast to play Arthur, due to scheduling issues; the role ultimately went to Joseph Gordon-Levitt. Fans of Marion Cotillard got a chuckle when they heard “Non, je ne regrette rien,” the closing song of the film “La Vie En Rose” which won her an Oscar for Best Actress. The title means “No, I regret nothing” when translated literally into English. Was it a clever nod to her previous role? Actually, no. Nolan and composer Hans Zimmer chose the song before Cotillard became attached to the project because of its booming rhythmic qualities, not because of its association with the actress. NEWS FLASH: The kids at the end of the movie are not the same as the ones before! Adjust your explanations of “Inception” as necessary. Don’t worry, no top theories here. Only some insight on where the idea came from – not exactly inception. 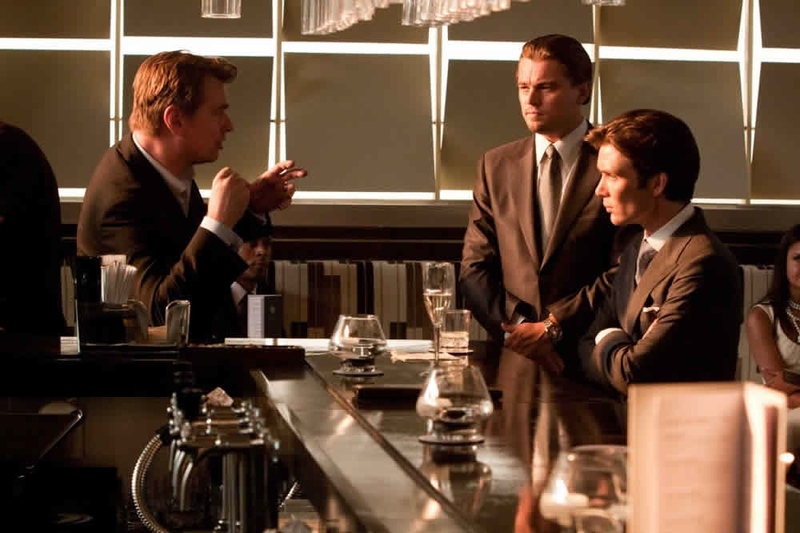 Nolan gave a top as a gift to his wife and then rediscovered it, incorporating it into “Inception.” The one used in the movie was symbolically designed by the prop department to represent Cobb’s universe. A nice little under-the-radar Oscar story of 2010 has been David O. Russell’s comeback directing “The Fighter,” which is in itself a comeback story. But it wasn’t always going to be that way. Remember seeing in the opening credits that Darren Aronofsky was an executive producer of the movie? Originally, he was going to direct the movie but eventually abandoned the movie to make “Black Swan.” That makes him connected to two Best Picture nominees this year. Also worth noting about the director’s chair – Martin Scorsese turned the project down, claiming that “Raging Bull” was enough boxing for him. Aronofsky’s exit wasn’t the only major change that “The Fighter” underwent before production began. Matt Damon and Brad Pitt were both attached to play Dickie Eklund, the former fighter and older brother to Mark Wahlberg’s Micky Ward that is played in the movie by Christian Bale. Mark Wahlberg did plenty of physical preparation for “The Fighter.” He claims that his last few movies have been carefully selected as training and preparing to play Micky Ward. He built a boxing ring in his own home and spent four years training with boxing coaches, even bringing them with him to his other movie sets. Wahlberg did all the fighting himself, refusing to use a fighting double. By the time all was said and done for Wahlberg’s training, he spent more preparing than he made. Wahlberg wasn’t the only cast member altering their body for “The Fighter.” Christian Bale noticeably dropped 30 pounds to play Dickie, giving him the look of both an ex-fighter and a crack addict. But more under the radar, Amy Adams also did her part to inhabit the character of Charlene. To make her character look like she’d been in one too many bars, Adams gained about 10 pounds to get a bit of a beer gut. Did the cinematography of the fights look a little bit different than the rest of the movie? That’s because David O. Russell brought in camera crews from HBO to shoot them in the same style they were televised in for the sake of authenticity. I found it to be an interesting touch that definitely set the fights apart from the rest of the movie. They also feel real because the real Micky Ward was heavily involved in their production. Just how real is “The Fighter,” though? According to the real life Micky Ward in an interview with Sports Illustrated, he said, “It was pretty much right on. Christian Bale did an excellent job.” The movie’s historical accuracy was greatly aided by Wahlberg’s close relationship with the real Ward and Ecklund, who often stayed in his guest house for weeks at a time. The veracity was also undoubtedly aided by Mickey O’Keefe, Ward’s real-life trainer who played himself in the movie. And the big question: since Dickie Ecklund is still alive, how did he react to the movie? Apparently he saw it for the first time without an audience and was not a fan. Understandable for anyone to react unfavorably to a shrinking down of their life’s struggles and mistakes into two hours. But then Wahlberg and Bale convinced him to see it a few more times with a crowd, and once he saw their reaction, Ecklund was proud of how his overcoming of crack addiction moved the audience. How’s that for a feel-good story? Oscar Moment: The 2010 Academy Award Nominations! Well, folks, the Academy just chimed in with their best of 2010 in cinema. It’s an exciting day for all who love to celebrate the craft that captivates countless people worldwide. I’ll delve into my opinion after the cut, but before I go any further, let me post the nominees!